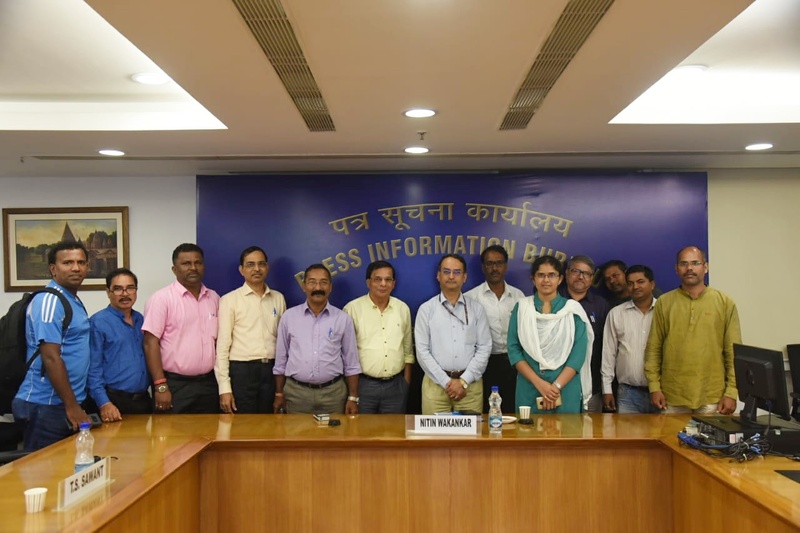 Panaji September 26, 2018 … The Press Accreditation Committee yesterday called on the Aditional Director General of Press Information Bureau Shri Nitin Wakankar, IIS, Additional Director at National Media Centre, New Delhi and held discussions on the matters relating to Press Accreditation and other issues. Shri Wakankar apprised the committee with the help of power point presentation about the Press Accreditation Rules of the PIB and the facilities that are extended to the press persons. The PAC Committee is headed by its Chairman Shri Raju Nayak. Member Secretary of the committee and Director of Information and Publicity Shri T.S. Sawant, Information Officer ( Publicity) Shri John Aguiar, Editor of Goa Doot Shri Waman Prabhu, Shri Shyam Gaonkar, Shri Ganesh Shetkar, Shri Kailash Naik, Shri Kenzil Rodrigues, Shri Alfred Fernandes, Shri Sudakar Naik and Shri Sandip Dessai were present.